« Robert Natelson: What Is Originalism? 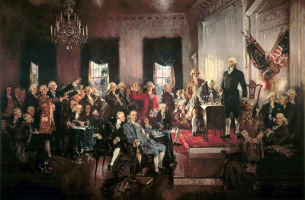 Scholarly engagement with the constitutional jurisprudence of the early Court has gained new urgency because originalist scholars recently have claimed that originalism informed the early Court’s approach to constitutional interpretation. This Article finds that contemporary filters do not capture the essence of eighteenth-century constitutional adjudication. Like modern textualists, the Justices of the Chisholm Court begin their inquiries with an examination of the constitutional text. 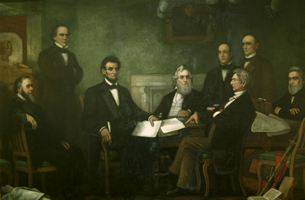 However, the constitutional text rarely provided clear constraints on the early Court’s discretion because, to borrow language from New Originalists, their cases arose in the “zone of construction” where original meaning “runs out.” Justices chose among plausible arguments about the Constitution’s meaning. At key points, the Justices simply declared what the law was. They did so, not without justification, but also not based on evidence of the Framers’ intent or the original meaning of the constitutional text. Along with Professor Telman's paper on the Marshall Court, this line of inquiry is opening an important new front in the attack on originalism. To the extent that originalism claims at least some normative force from being a traditional or longstanding approach to the Constitution, it's obviously a bit problematic if early post-ratification courts did not consistently use a version of originalism.